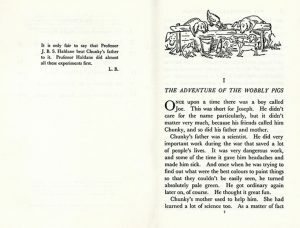 From goodreads.com: Chunky is an irrepressibly inquiring small boy with a deeply scientific interest in everything going on around him. 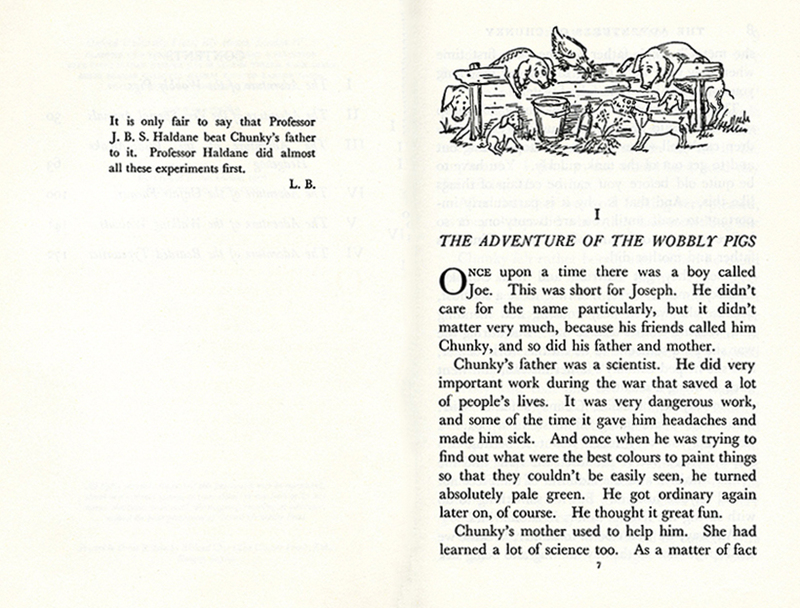 His mother and father are both scientists – the sort of scientists who sit in baths of ice to find out how long sailors can endure stormy seas; and this perhaps explains why their small son has an equally practical approach to the serious problems of life. 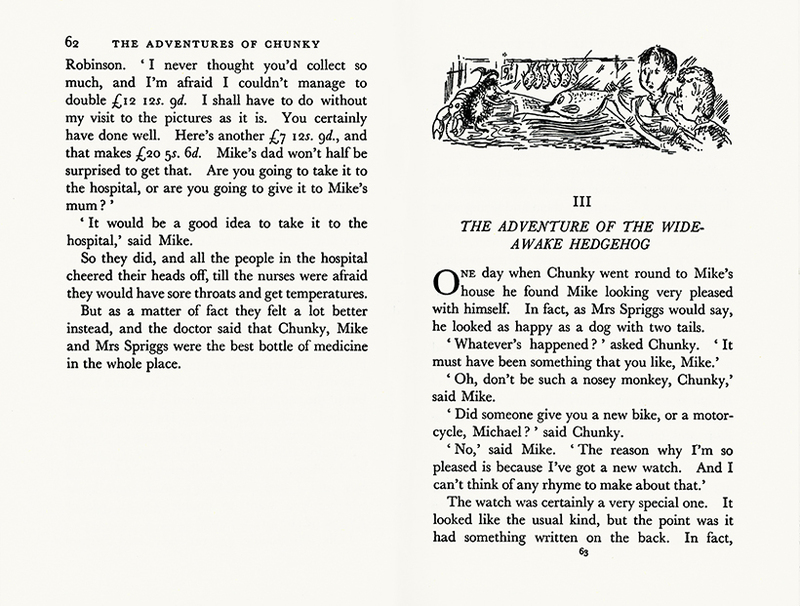 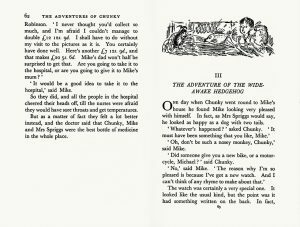 Mike, Mrs Spriggs and Mrs Spriggs’ niece Tangy are Chunky’s companions in one remarkable situation after another; the Adventure of the Wobbly Pigs, for example, or the strange encounter with Bearded Typewriter and the poetical barber who couldn’t make out whether it wanted a shave or a haircut. 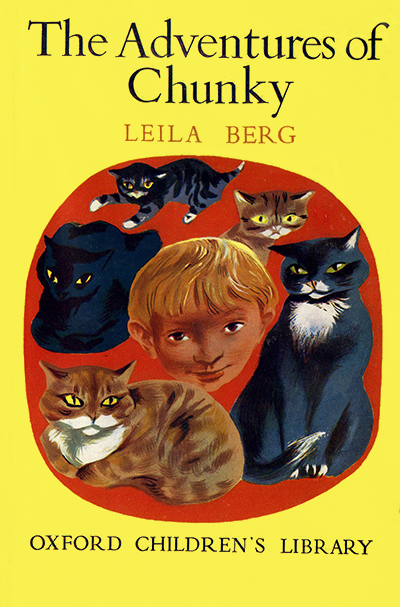 Leila Berg writes of this diverting small boy with a nonchalant matter-of-factness that heightens the humour; and George Downs, the artist, adds to the gaiety.